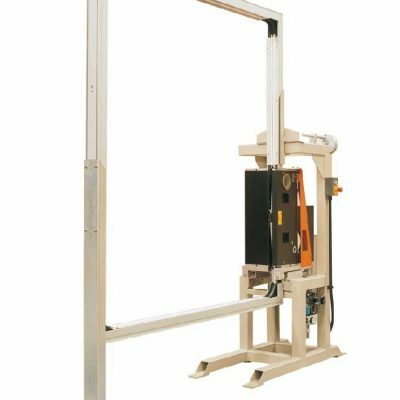 The automatic thermoshrinking oven model FT55 is a device which uses a single workstation to package products through thermoshrinking. The film is thermoshrunk on the product by a ring like gas oven. All automatic and manual use and maintenance functions are controlled by a PLC. 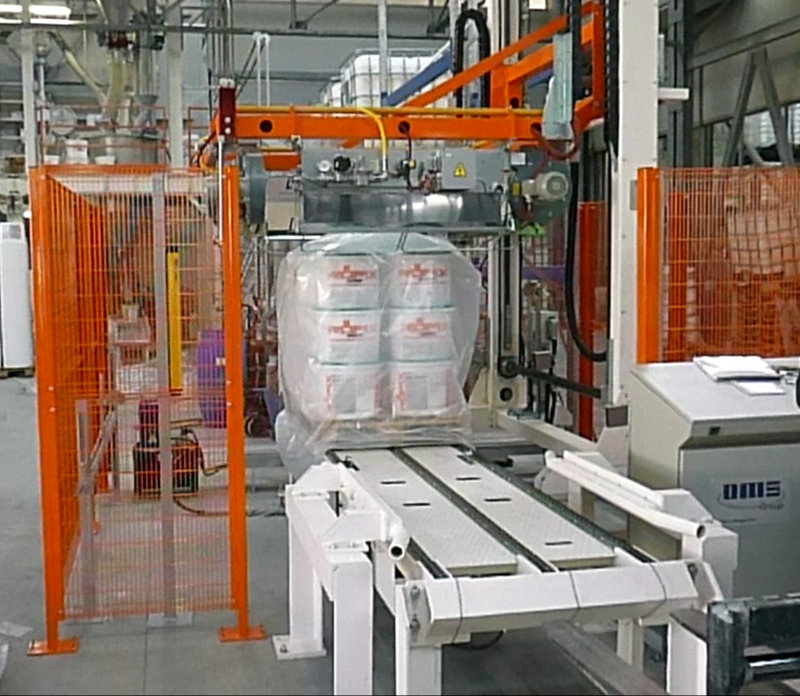 The operator’s presence is sometimes necessary to see that the product to be hooded enters the machine correctly. 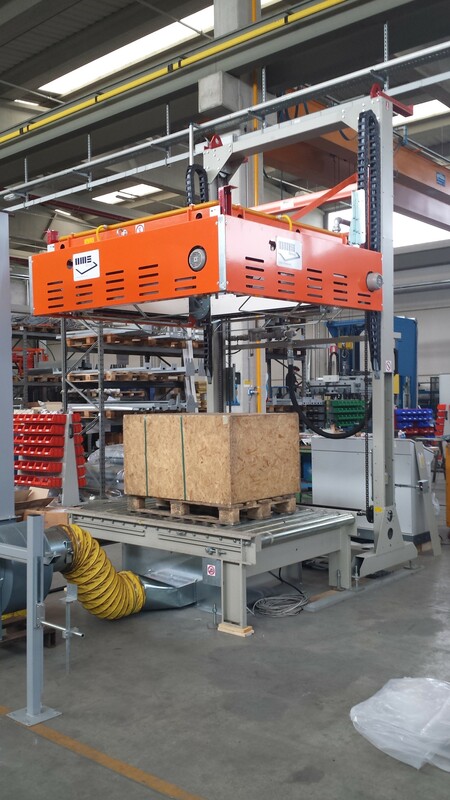 Structure made of bent and painted sheet metal which supports all the machine parts, as well as the accident prevention protections and branch boxes for connection to the control panel. 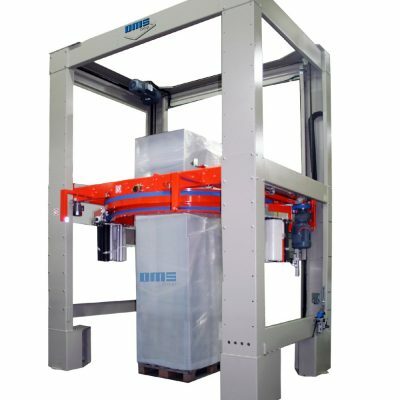 It moves vertically, it is driven by an inverter controlled motor and is supported by four sturdy chains. 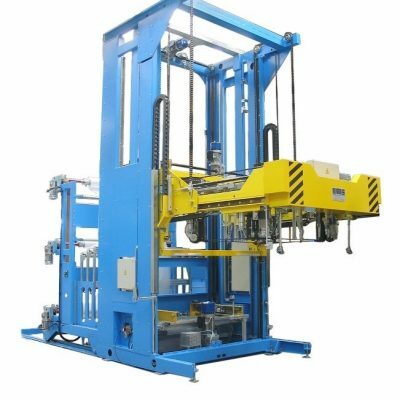 It also carries the four hot air burners, the gas distribution and regulation for each burner, the electrical parts which control gas lighting and the flame control. Each one of the linear burners is enclosed in a stainless steel chamber. The burners are designed in such a way so that the film is heated indirectly by a hot air flow and so they may work with methane, butane or propane gas at a steady machine feeding pressure ranging between 170 and 200 mbar. They only require a simple initial adjustment to go form one type of gas to the other. They are constructed with galvanized sheet, while the parts coming into contact with the flame and with high temperatures are made of high quality stainless steel. Each single burner features a fine combustion air adjustment, a gas solenoid valve, a high voltage transformer, an ignition plug, a flame sensor and a gas pressure regulation system. The four burners are therefore perfectly balanced. In compliance with EC directives, the machine is equipped with air and gas manostats, air and gas safety solenoid valves, air and gas supply filters, main air and gas pressure reducers, flexible pipe to distribute the gas inside the thermoshrinking arch and a plenum chamber for gas distribution to the burners. Average useful heat rating (which may vary depending on the size of the machine and the application): 320 KW, with 4 burners max. 80 KW each. In order for the machine to work it needs a supply pressure of 170 – 200 bar, 1-1/2″ gas connection (for higher inlet pressures it is necessary to install an OPTIONAL pressure reducer). 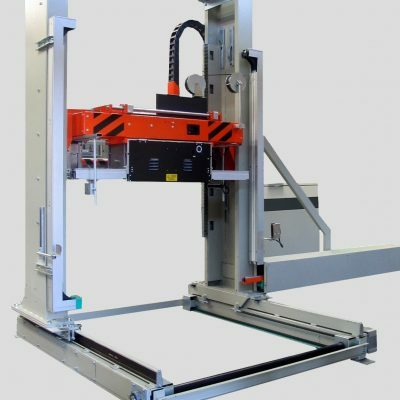 It is fitted in a separate panel which can be placed at an appropriate distance and there can also be an optional separate operator console through which to easily control all operations. The metal parts are painted plate, with modular panels which can be taken down and doors which can be opened frontward. The power cabinet has a forced air circulation system to cool the electronic equipment. 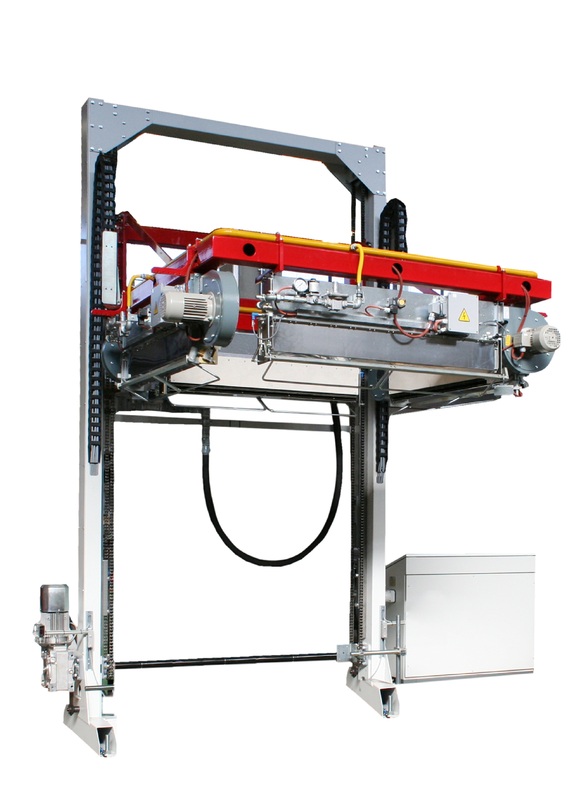 The FT55 and its hot air generation system through linear gas burners (patented by OMS) has been subject to inspection by the German Gas Institute that has issued the type-approval no. 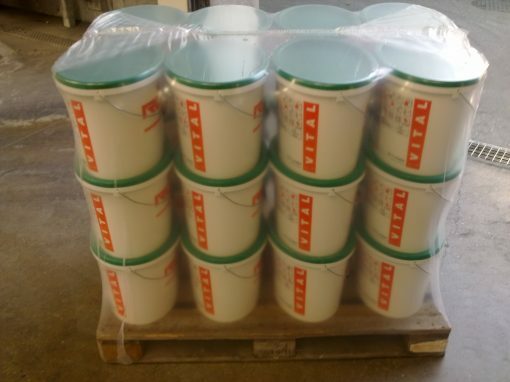 DG 2217 BL0557, valid in all EU countries.